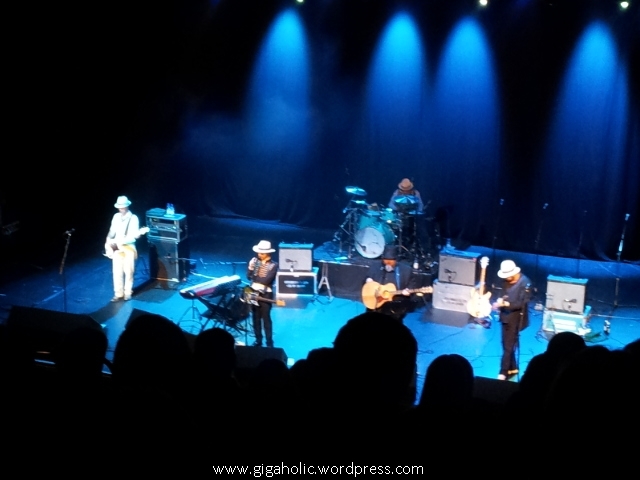 I was lucky enough to win some more tickets from the great people at Goldenplec and to head along to The Duckworth Lewis Method show in the Olympia with my housemate. As you know, I love gigs. Guess what I love more than gigs? Free gigs! And the Duckworth Lewis Method are a band that I would gladly have paid to see – they are brilliantly eccentric and their songs are actually great, despite being about cricket, which I know nothing about. 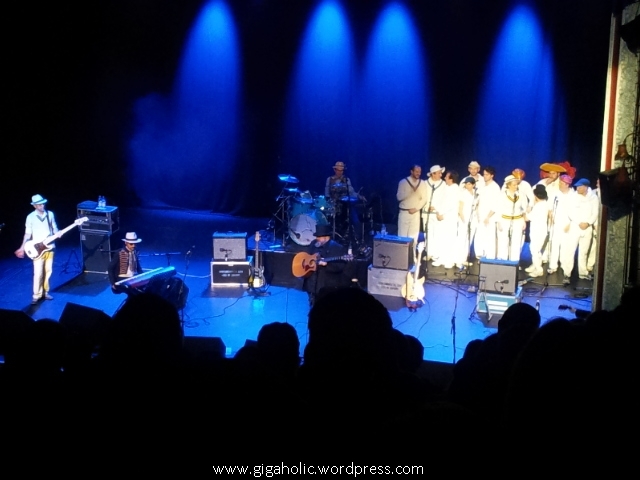 I was sitting up in the Circle, so the photos are pretty useless, but they capture the flavour of the gig – top hats, cricket whites, and good fun. 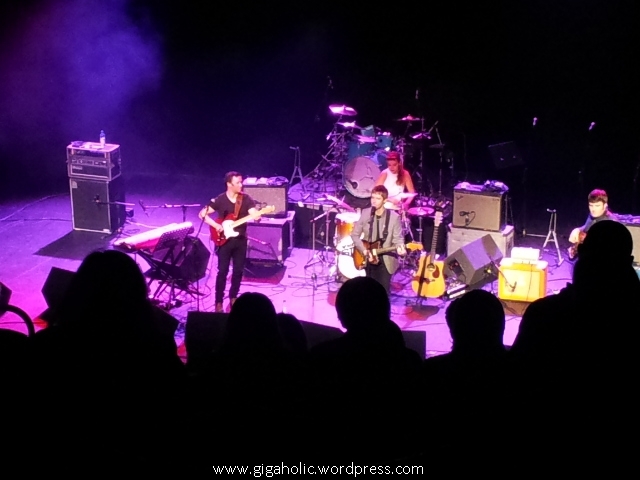 The banter between Thomas Walsh and Neil Hannon made the gig part music, part comedy, but they kept the balance – just about. From musicals about bream (“I had a bream”) triggered by what Neil had for dinner, via Ronnie Drew imitations, to a rendition of “My Lovely Horse” in exchange for the audience collectively agreeing to donate the My Lovely Horse charity (https://www.facebook.com/MyLovelyHorseRescue), the night meandered along in a fantastically odd way. It was also an all ages affair, with songs being dedicated to a kid in the audience who had broken his leg (and who slept through most of the latter part of the show, from what I saw) and repeated giving out to the guitarist for cursing. This wasn’t a gig like any other gig I had ever been at. 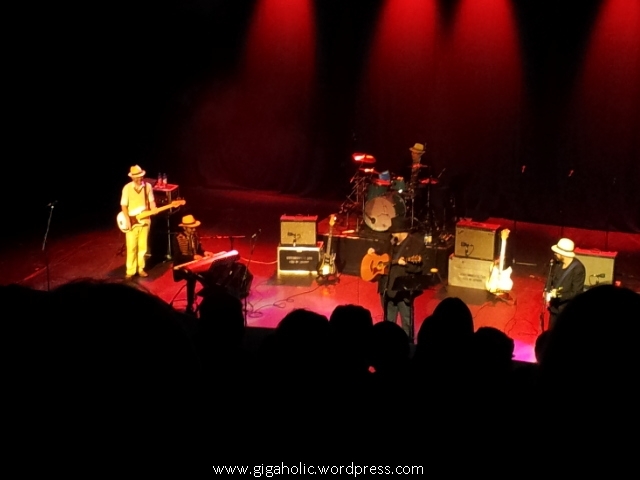 But that said, I look forward to seeing The Duckworth Lewis Method again – they really were great! Also great were the support act The Statics. We only made it in time to hear the latter half of their set, but as a band who seem to be constantly gigging at the moment, I look forward to catching them again soon.